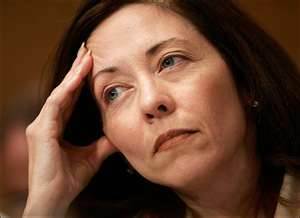 I’m so proud that Patty Murray, House Democrat, and Maria Cantwell, Senate Democrat, are from Washington state. Both have made comments this week stating that we would be better off going over the “fiscal cliff.” This kind of thinking is what made this country great. We should never compromise with the “other” party. Instead of compromise we should self-inflict credit down-grades, and avoid balancing a budget until we get sufficient leverage over the other party. Why pay our bills anyway? We’re America. People will always buy our debt; where else are they going to go… Japan? Hell the people who vote our Congress, President, and Senate in will only suffer a little bit from their unwillingness to do the job. I mean, why solve such an important issue? They can always go on vacation and push it further out. It’s not as if, voters pay their salary. Oh wait. If you can sift through the massive amount of sarcasm, follow me. Let me be clear, it is NOT the point of this piece of this article to put down Democrats. These two ladies have been the only law-makers that have made comments implying that it would be beneficial to jump off said cliff. We all know that both sides are equally stubborn. If you have ever had a question about where the House and Senate’s loyalties lie, this should make it VERY clear. Instead of tirelessly working on a Grand Bargain that can lead to avoiding this problem, they are holding strong to their donors’ wishes. This has nothing to do with voters. If it did, they would get this solved. Instead special interests, lobbyists, and large donors have their loyalties. No one is willing to bend for fear that they will not have the flood of donations after all is said and done. Bottom line, all they care about is being re-elected. This fact looms largest: 94% of the time the winner of an election is the candidate that raised the most campaign money. So in essence they know they will win yours/my vote if they spend enough money on the campaign. The only way to do so is to keep their campaign donors, lobbyists, and special interests happy. Thank you for contacting me regarding the recent Supreme Court decision in Citizens United v. Federal Election Commission. I appreciate hearing from you on this important issue. In 2007, Citizens United, a non-profit advocacy group, sued the Federal Election Commission to prevent it from enforcing certain provisions of the Bipartisan Campaign Reform Act of 2002 (BCRA). Among other things, the BCRA prevents corporations and labor unions from directly funding communications expressly advocating election or defeat of a federal candidate. In addition, corporations and unions are prohibited from funding “electioneering communications” 30 days before a primary and 60 days before a general election. One of my proudest achievements as your Senator was enacting the first meaningful campaign finance reform legislation in decades – the Bipartisan Campaign Reform Act. That legislation was a critical breakthrough in the long battle to rein in campaign spending, to make improvements in the way politics is conducted, and to make government more responsive to our citizens. It passed through Congress with overwhelming majorities, sending a clear signal of our intent to prevent special interest money from overwhelming our electoral process. I disagree with the Supreme Court’s holding the corporations should be granted the same rights as individual citizens and I worry that this ruling will open the door to a flood of corporate spending that will drown out the voices of everyday Americans. On January 21, 2010, the Supreme Court announced its ruling in Citizens United v. Federal Election Commission. In a 5-4 decision, the Court held that these restrictions constitute a “ban on speech” in violation of the First Amendment. In effect, the ruling invalidates these provisions of the BCRA and overturns over 100 years of Supreme Court case law limiting the ability of corporations and unions to influence federal elections. I believe that public financing is the best way to ensure that candidates can focus on the issues important to voters rather than raising money from special interests. Such an approach would help transform campaigns from negative attacks into substantive debates and government decision-making from a process influenced by money to one determined by ideas. Senator Bernard Sanders (I-VT) introduced Senate Joint Resolution 33 on December 8, 2011. This resolution would propose an amendment to the Constitution that would reverse the Supreme Court’s decision in Citizens United v. Federal Election Commission. The resolution would reaffirm the authority of Congress and the states to regulate corporations and to set limits on all election contributions and expenditures. This resolution has been referred to the Senate Committee on the Judiciary, where it awaits further review. In order for the proposed amendment to the Constitution to be ratified, it would require the support of two-thirds of each House of Congress and ratification by the legislatures of three-fourths of the states. If enacted, this resolution would amend the Constitution to limit the number of terms that a member of Congress may serve. The proposed term limits in the House of Representatives would be three terms and two terms in the Senate. Thank you again for contacting me to share your thoughts on this matter. You may also be interested in signing up for periodic updates for Washington State residents. If you are interested in subscribing to this update, please visit my website at http://cantwell.senate.gov. Please do not hesitate to contact me in the future if I can be of further assistance.